There is a lot of information on the internet for adrenaline junkies to seek out the biggest or most dangerous peaks in the world; but there isn’t anywhere near as much for the beginner climbers. If you are new to climbing, or want to get into climbing, then you need to start with some of the easier peaks, so your body can get used to the stamina needed for more difficult climbs, as well as getting used to the acclimatisation challenges that come with every peak. I am not saying just anyone can do the following peaks, you still need to train before any climb, but these are some of the easiest peaks to get you started. This is quite spectacular to look at, one of the only mountains in the world that is a singular peak standing at over 12,388 ft. You will need a guide to take you but a novice can easily climb up and down in around 8 hours. Mount Fuji is open just 2 months of the year so make sure you book in advance for July and August. Probably one of the easiest mountains to climb and a great start if you are just getting into trekking. Mont Blanc is the highest mountain in the Alps standing at 15,780 ft. There are numerous routes you can ascend this peak on both the French and Italian side each with their own challenges. There are plenty of easier routes that a beginner can take and is an excellent way to build up the stamina needed for more of the bigger peaks to come. This will take around 2 days to complete with huts up and down the mountain for an overnight sleep before ascending to the summit. The highest mountain in Europe stands at 18,510 feet but the climb itself starts at around 12,000 feet so in essence you are only climbing the upper third. 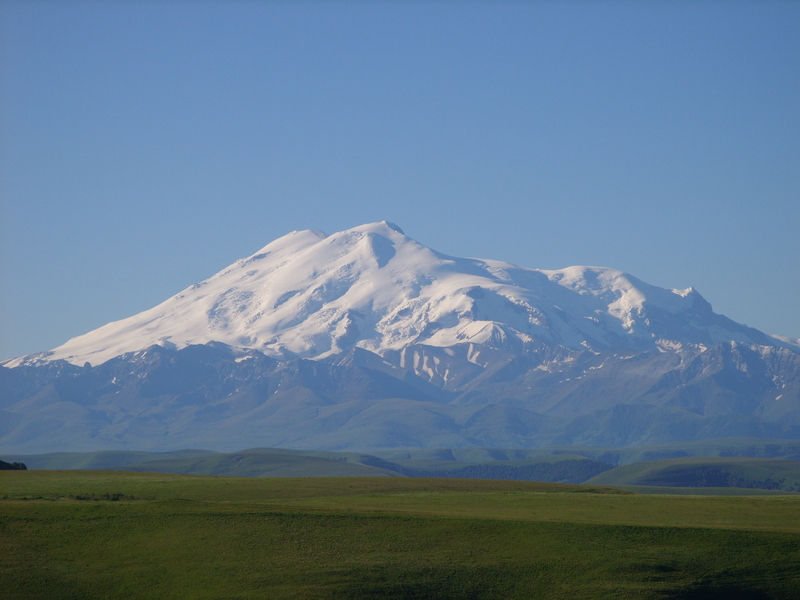 Summer is the best time to climb this mountain as unpredictable weather during the winter months could make it impossible. It takes around 2 days to complete the climb so this is ideal for a beginner looking to get used to changing temperatures during a climb. This is one of the easiest mountains to climb in the world, standing at 13,671 feet it will take just 2 days to get to the top on a sunny day. The peak is accessible all year round but the summer months offer the least change of adverse weather conditions. What you get with this climb is outstanding scenery along the way and an amazing view at the peak. Mount Kinabalu is the highest mountain in South East Asia at 13,455 ft. It is a great climb for the novice that is used to the changing temperatures and stamina needed for a mountain ascent. It takes 2 days from the base camp to the peak with the use of guides. There are many routes that will test the more advanced climber but most will take the route to Low’s peak to see the morning sunrise. It also offers one of the most amazing views around with the tropical climate at sunrise ideal to see far and wide.